Hiring Senior Technical Writers in Savannah, Georgia. 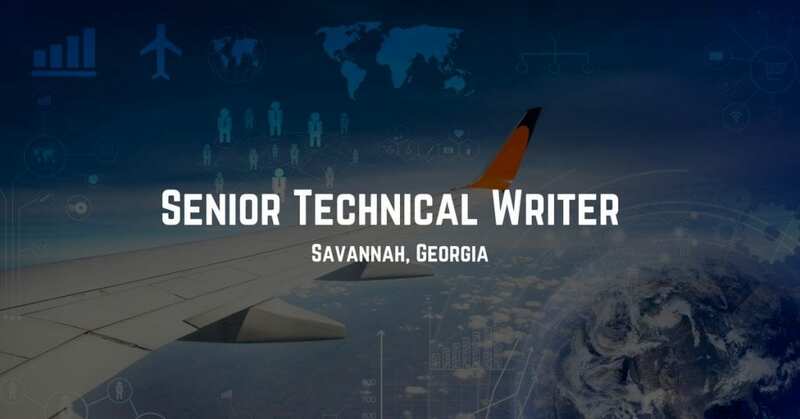 STS Technical Services is now hiring Senior Technical Writers in Savannah, Georgia. Directly responsible (either individually or with other team members) for the development of technical publications. This can include special projects, research and development, and aircraft safety-related content. Support the complete workflow process to ensure successful development and revision of technical publications. Comply with established quality processes to ensure accuracy, ease of use, and timely delivery of content. With minimal to no supervision, use aircraft technical data to develop technical content that provides the information necessary for efficient return to service of the aircraft. Conduct reviews, analysis, and modification of technical documents to gain a thorough understanding of complex aircraft system operation. Provide training support on complex system operation and technical publications software and processes. Participate with publications team to ensure department workflows and business processes are followed. Proactively conduct discussions with internal/external customers in the development of source data, making sure it meets technical publication requirements. Directly collaborate with Research and Development, Production, Completions Center, and Customer Support personnel to develop, review, and approve technical procedures. Provide process improvement recommendations to leadership that can reduce overall department cost and/or increase productivity. Contribute to development and continuous improvement of department styles, standards, operating procedures, and priorities. Provide input to leadership on new processes or technology to enhance the Technical Publications business model. Assist in the development of solutions to resolve technical data challenges. Extensive knowledge of aircraft system methodology gained through practical experience is required. Ability to read and interpret engineering data is required. Experience with 3-D data is desired. Thorough knowledge of aircraft/hand tools, test equipment, parts nomenclature, maintenance procedures, and aircraft equipment (obtained through experience, research, or training) is required.